If Stranger Things were set in modern times, the show probably wouldn’t be as endearing to its fans. The characters are great, as is the story of a small town besieged by experiments run amok, but it’s ‘80s nostalgia that helps cement our addiction to the show, and Schwinn wants to give Stranger Things fans a chance to actually relive their fondly-remembered childhoods. 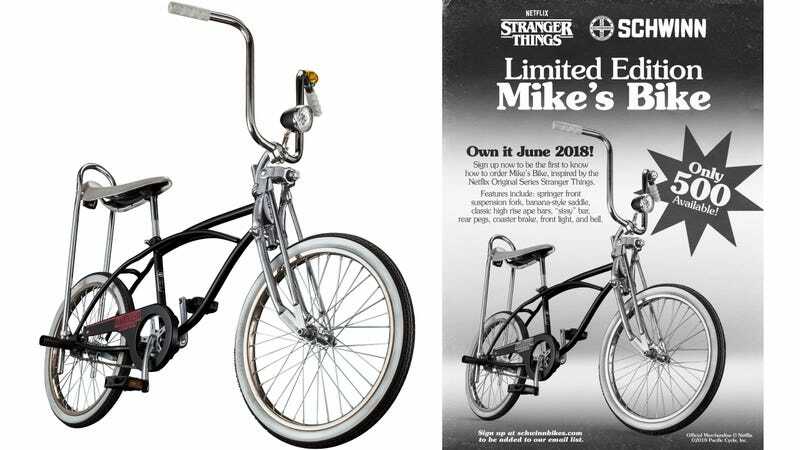 Starting today at 11:00am EST, the first 500 people to call 1-800-SCHWINN will be able to buy a shiny replica of Mike Wheeler’s (actor Finn Wolfhard) cruiser bike as seen in the Netflix series. As with contests and sweepstakes dating back to the ‘80s, the phone number was first revealed in a print ad in the Chicago Tribune newspaper this morning, but has since been shared through Schwinn’s outreach and social media channels. ‘Mike’s Bike’ features retro-inspired high-rise ape handlebars, a working front suspension, a banana-style seat, a working headlight, bell, and even a set of wheel pegs for carrying passengers—even those without eery mental powers. The whole thing comes in a matching Stranger Things-themed box, and Schwinn promises there’s a bunch of other Easter Eggs and nods to the show hidden all over the bike. Just keep in mind that the first 500 callers don’t actually win the bike, they only win the opportunity to purchase the bike, which will sell for $379. So you can expect collectors across the country to be speed dialing that 1-800 number. It might just be easier to hit up eBay a few hours later if you really want to cruise around for monsters in style. How long until season 3 starts? 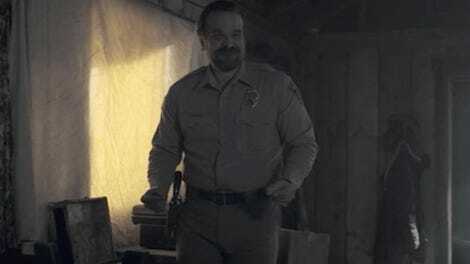 What If Eleven in Stranger Things Is Even More Connected to the Monsters Than We Know?